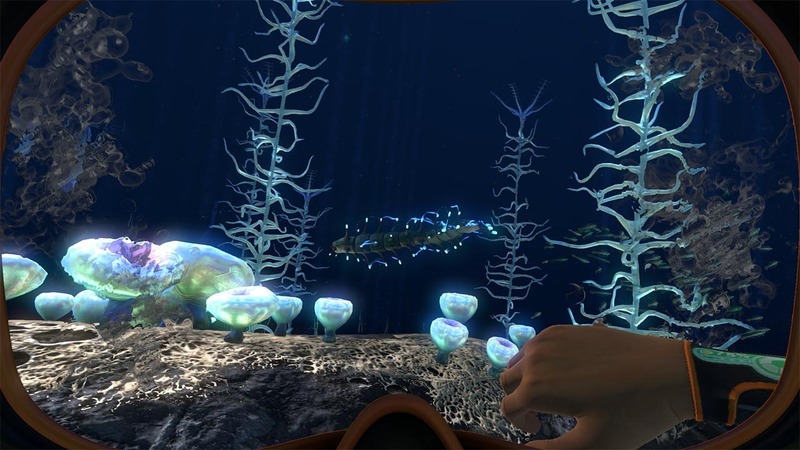 Developer Unknown Worlds Entertainment released a big new update for Subnautica today. They’ve dubbed it “The Shocking Update”. It adds some new creatures to inhabit the deep, one of which is the new Shocker. As you can see in the screenshot below, it should be pretty obvious why it’s called the Shocker! This large, menacing new creature can be found in Koosh Zones, as well as in the new Blood Kelp Forests. Subnautica’s new electrifying beast, the Shocker! The Shocker is not the only new monster hiding in the ocean’s dark depths, though. Another dangerous denizen of the deep hides in the Jellyshroom caves, waiting for you… The Shocking Update contains a lot more than just a few new creatures roaming the depths, though! As you can see in the next screenshot, the Seaglide (a small personal propulsion craft) now has a holographic map of the sea floor displayed above its nose. Pretty nifty! The Seaglide’s new Holographic map of the sea floor. But this is small potatoes really. The PDA has gotten a lot of love in this update as well, now giving you the ability to check story information, and browse pictures you’ve snapped. That’s right, you can now take photos in the game, and peruse them in your PDA. 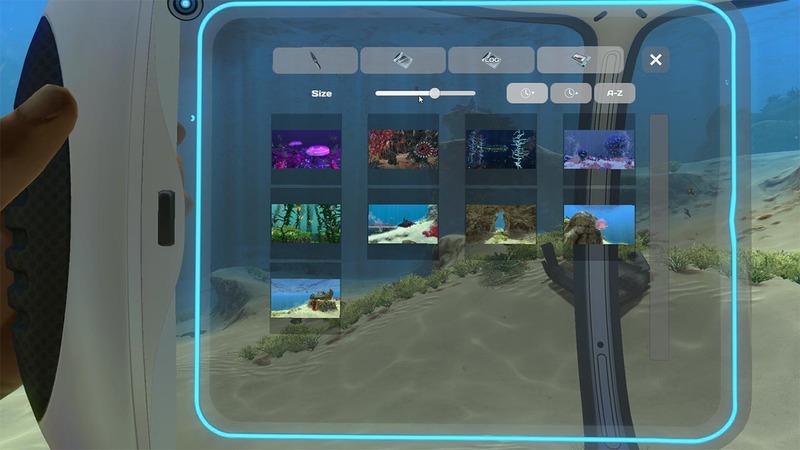 Not only that, you can even decorate your underwater base by putting your masterpiece photos on your walls! Browsing photos in your PDA. Displaying your masterpiece on the wall. 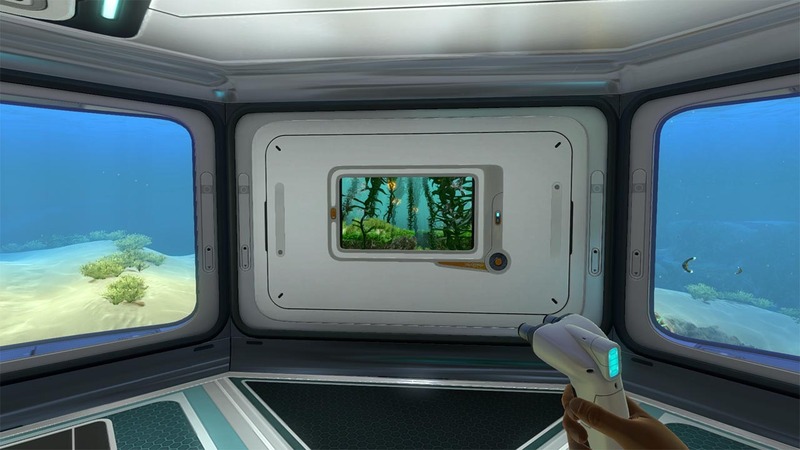 The developers of Subnautica have peppered plenty of other goodies all around in this update too. This includes some other new features, such as the ability to adjust sound and music volume. You can also now place ladders in a number of different places inside of large rooms, whereas before you could only place a ladder in the center. There are still a number of other things to discover in the Shocking Update, too. Placing ladders at the sides of large rooms. 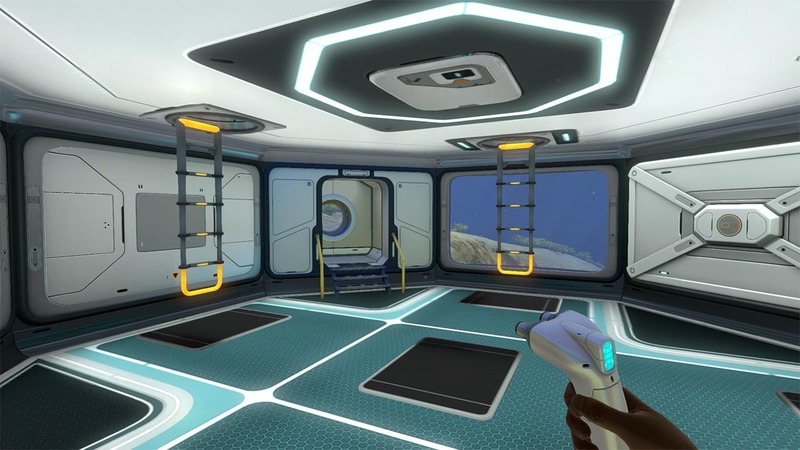 Subnautica is a resource gathering sandbox game not unlike games like Minecraft, Rust, or 7 Days to Die. But, it stands apart from the rest with its beautiful underwater world. It first launched into Steam Early Access on December 16, 2014. Upon winding up stranded on a strange world after your spacecraft crashed, you are now the only survivor. 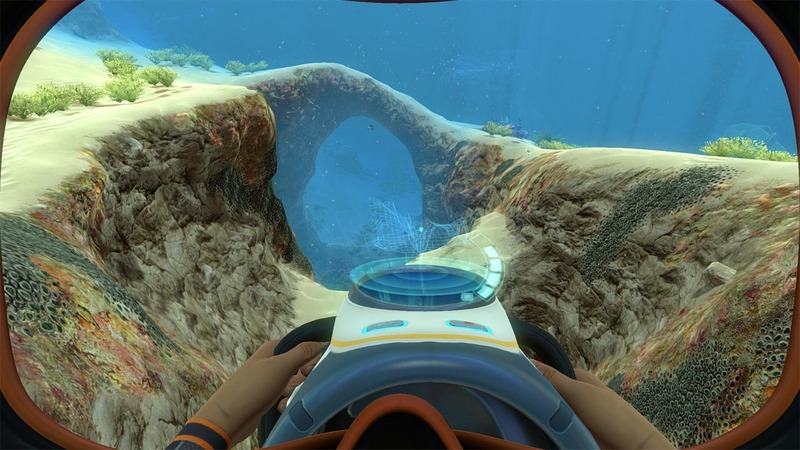 Subnautica lets you build cool underwater bases and craft a personal submersible, as well as a larger submarine and a number of other objects and gizmos. Your base can be damaged if you don’t pay attention to its structural integrity or if attacked by a large monster. This can cause it to flood, though repairing damaged spots inside your base can reverse the flooding (as there is an automatic drainage system). It is a very cool premise for a game, so dive into Subnautica now! The game is available for $19.99 on Steam.